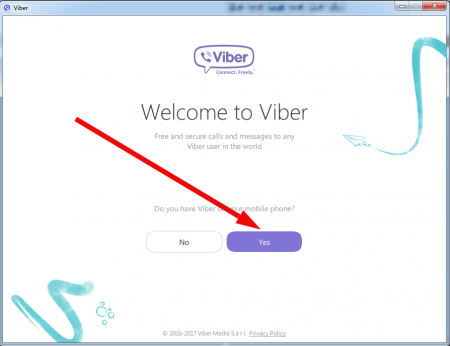 If you seek for the comfortable, adaptive and easy-to-use mobile messenger, pay attention to Viber. This VoIP-tool contains much innovative technologies which provide steady and seamless workflow. Viber is compatible with all known operational systems. 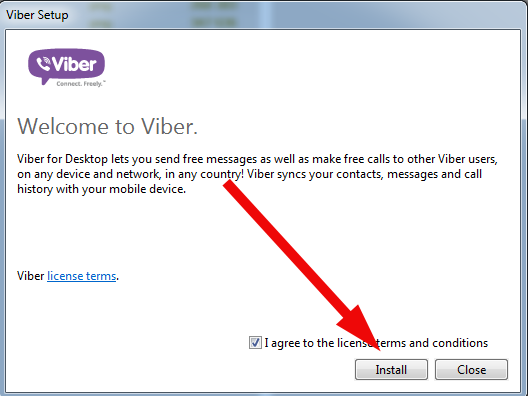 Even if you have smartphone based on Symbian or Windows Mobile, you will still be able to use this tool on your device. Important warning: in order to set up Viber on Windows, you will need before that install Viber on the mobile gadget (phone or tablet). 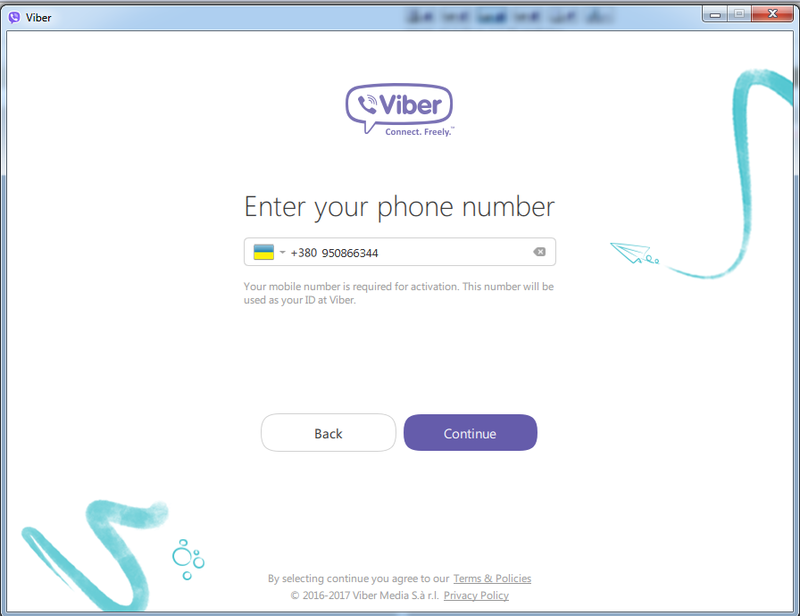 In this way app is attached to the mobile number, and PC-version will synchronize with its mobile analogue afterwards. 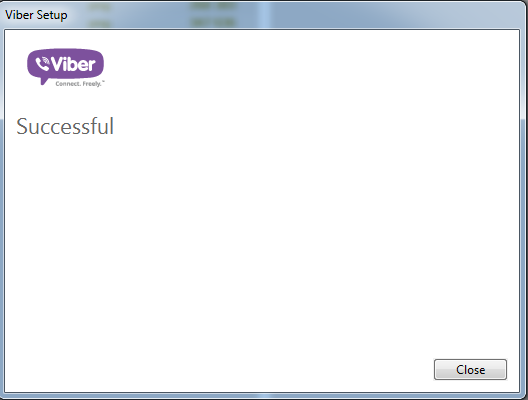 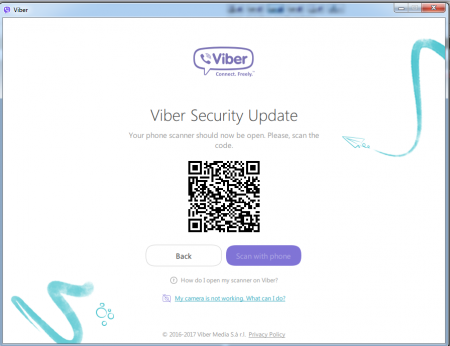 So make sure that you have mobile gadget with Viber installed on it before installing messenger on Windows 7.
if the previous operation occurred successfully, and QR-code scanning performed correctly, on the further iteration the form appears, which is telling you, that the registration completed successfully and you are free to use Viber on the PC. As you may notice, the instruction how to install Viber on Windows 7 is quite straightforward and intuitive, so you won’t tackle with any difficulties during this routine. Thanks to the qualitative synchronization mechanism, each time you log in to the PC-version of messenger, you will immediately see all the actual contacts and messages from your mobile account. 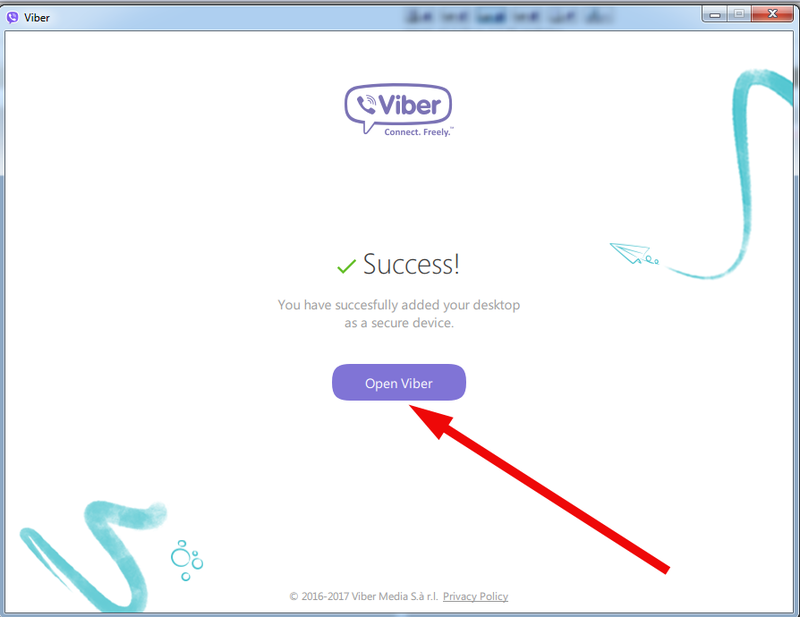 Thus, you will be online even if the phone battery off, and you are working by the PC at the moment.